Of all the things to come across down on Windsor Reserve, Devonport. Several dozen Morris Dancers put on an engaging spectacle for Devonport locals and tourists as they showed off their impressive capering skills on a balmy summer afternoon. If you haven’t seen Morris Dancers in the flesh, see the video below for the next best thing. This traditional English dance form, dating back around 500 years, is certainly quirky! On 13 December, 1917, the infamous Count Felix von Luckner interned on Motuihe Island, escaped on the Commandant’s Launch Pearl and headed for Coromandel. Three days later he managed to board and capture the scow Moa and head for the Kermadec Islands. To commemorate the centenary of his escape the Torpedo Bay Navy Museum has created an online digital exhibition of some of the artefacts that it has in its collection relating to von Luckner and his time in New Zealand. Some of the objects are currently on display in the Museum, others are not, so this is a great opportunity to get a closer look at some interesting artefacts. Read more about the daring, yet gentlemanly raider Count Felix von Luckner and view the digital exhibition. Devonport locals and lucky visitors were treated to a rocking good afternoon in Windsor Reserve on Sunday 10th December. Talented local youngsters including several from Belmont Intermediate and Takapuna Grammar put a series of spectacular performances in which touches of vocal and instrumental genius were witnessed on occasion. Threatening to drizzle a couple of times the balmy day stayed dry, and with food-stalls set up around the park, most people stayed all afternoon to hear the bands play out. The festival is organised by local teenagers to showcase the music of young artists. This year’s lineup included the smooth, funky rhythms of Molly + The Chromatics, up and coming indie-rockers Dirty Pixels, the local hard hitters Slipstream, talented singer-songwriter Freya, Theo Sawyer’s dynamic and engaging acoustic pop, and youthful local rock combo Neon Flame. Organised by Devonport Peninsula Trust and Devonport Youth Forum. Special thanks to Devonport-Takapuna Local Board, Depot Sound Recording Studio, Music Planet, and Phantom Billstickers for their support. A public feedback report for Lake Road Improvements has been collated by Auckland Transport (AT). The Lake Road Improvements Feedback Report can be downloaded here. In total, AT received 1,131 submissions. After careful consideration of feedback and project constraints, AT’s preferred option is for developing the medium investment approach further in the next phase, the Detailed Business Case (DBC). This phase will involve developing specific design proposals and more detailed costs and benefits. Specific suggestions gathered from the public feedback will be further considered in the DBC phase. Please see the ‘Detailed suggestions from feedback’ section of this report for more detailed responses to themes and suggestions. AT will consult further with the community once specific design proposals have been developed. AT expect to start the DBC in early in the New Year. Devonport was treated to an exhibition of fabulous people-friendly light sculptures on October 13th and 14th, 2017. The second year Unitec Bachelor of Architecture Studies students designed and prefabricated light pavilions in and around Windsor Park, Devonport Auckland, creating a light filled weekend. After a successful four years of designing, building and installing with zero budget and zero waste in Christchurch, in conjunction with FESTA (Festival of Transitional Architecture), the students are looking forward to designing for the third year running in their home town again and building on the success of Artweek Auckland 2016. Looking for Outdoor Part-time Work over the Summer? Looking for part time work over Summer? Love kids? Summer Fun events assistants are required to work at various park locations from Hauraki to Sunnynook. Summer Fun is a free preschool programme providing communities with the opportunity to have informal play time at our local parks and reserves. The programme encourages community engagement, connections and active young children. Takapuna North Community Trust is seeking applications from caring, reliable adults to set up and facilitate these programme sessions as well as be available for other community events as they arise. This is a part time, short term contract from November 2017 to the end of March 2018 (closing for a period over Christmas) and does require some weekend work. • Previous experience or studying towards event management, early childhood qualification or social work/ Community Development would be advantageous but training will be given. Applications must include a Cover letter and CV. To obtain a job description or for further information please email Roanna Pine, Takapuna North Project Coordinator: roanna@takapunatrust.org.nz. Applications close on 25th September 2017, 5pm. Lake House Arts put on a wonderful open day and launch party for the exhibition on Saturday 2nd. The galleries were packed with friends and families of exhibitors and local art lovers. Takapuna Grammar School Principal Mary Nixon and Cabinet Minister Paul Goldsmith (with Science and Innovation, Tertiary Education portfolios) spoke proudly of the achievements by pupils and schools on the peninsula. Be sure not to miss this truly visually arresting exhibition, running until Sunday 24th September. The huge ‘Disappearing Gun’ on Devonport’s Maunganuika North Head reserve was fired on Monday 3rd July, in a very rare event. The firing of the gun was being filmed for the documentary series Heritage Rescue on ChoiceTV. The British Armstrong 8 Inch Mark VII cannon was was put in place on top of North Head in the late 1800s in anticipation of a possible Russian navy attack. The “disappearing gun” nickname was so given because the battery gun is designed to retract into the ground after firing in an attempt to conceal its location. The North Head cannon has only ever been fired a few times – firstly during testing following its original installation, then once or twice for ceremonial occasions in the 20th Century, and most recently in 2011 when the All Blacks won the Rugby World Cup. Series presenter and researcher Brigid Gallagher pressed the detonator, which funnily enough has seen more action than the gun itself, having been used in the original Suez Canal project. Though the blast was loud enough, with those spectators without ear muffs holding their fingers to their ears, it only used 10 per cent of the black powder used in 1915, when the exact same model gun that sits on nearby Mt Victoria shattered windows in a ceremonial firing. To help us protect our native bird species, free rat traps are being given out for free by Auckland Council to Devonport residents. 1500 rat traps have been kindly donated by Ngāti Whātua Ōrākei who are advocates of the Predator Free 2050 initiative and committed to protecting New Zealand’s native bird species and want to see their populations increase. We all know how special the Devonport Peninsula is – a vibrant seaside community known for its picturesque tātahi (beaches), stunning manga (mountains) and thriving shore, land and migratory birds. As part of the North-West Wildlink, it is a vital corridor for native birds as they fly from the Waitakere Ranges to the islands of the Hauraki Gulf and back. These habitats act as stepping stones where wildlife can travel and breed safely between the conservation sanctuary of the islands and the ranges. But introduced predators, including rats, are taking a toll on New Zealand’s native birds. Predator Free NZ estimates 81 per cent of local bird species are endangered. You should have received a form in your letterbox from Auckland Council with a unique serial number. If you have not received this form or cannot make any of the above dates, please email enquiries@norats.org to find out how you can collect your free rat trap. Kayaking to work and lunchtime swims are the norm for the residents of Level One HQ on the Devonport Wharf. 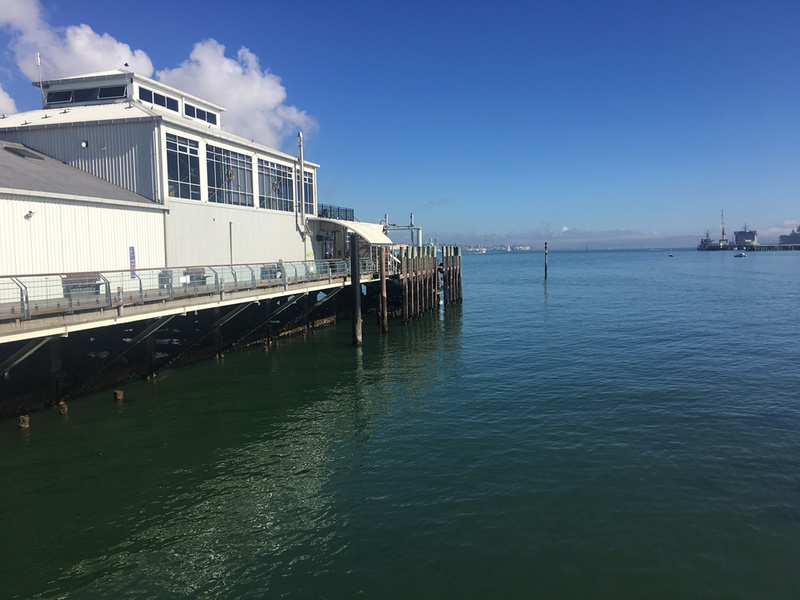 A coworking and collaboration space with panoramic views of the Waitemata Harbour, Level One is home to a range of software and professional services companies as well as solo workers who don’t want the hassle or expense of having to travel into the city every day. 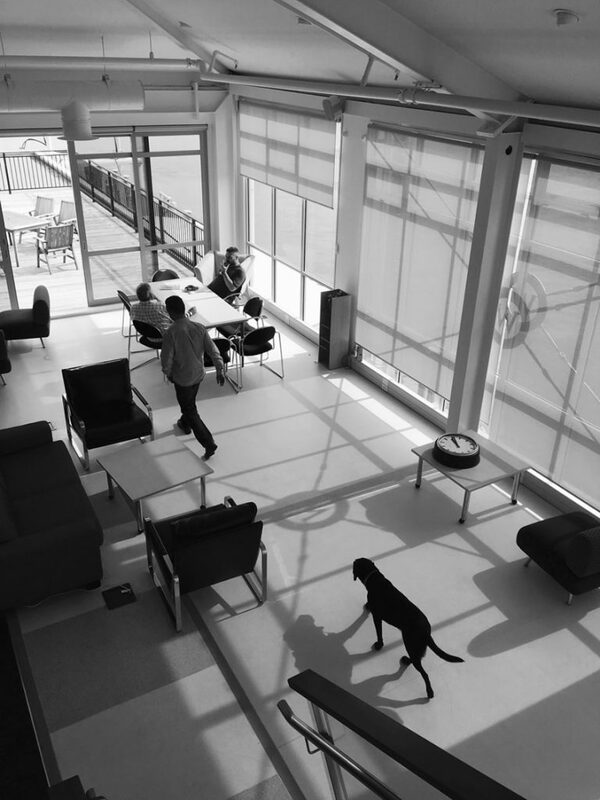 Space can be rented on a per-desk basis, and daily rates and part-time rates are also available. To mark its second year of operation, Level One is offering a special Foundation membership of $30 per month which includes a quick pitstop of coffee and wifi for members travelling to and from the city, as well as access to a boardroom space at preferential rates for meetings and workshops. To take advantage of the Foundation offer which will be initially limited to 20 members, sign up here or call Simon Lampen on 021 526 736 for more details about desk space.